Recently I have found myself with some time to review a book instead of writing one. This time around it was a BizTalk book written by fellow BizTalk MVP Steef-Jan Wiggers. Steef-Jan is no stranger in the BizTalk community. He has been very active in the MSDN forums, reviewing and writing books and has been busy on the speaking circuit in the Netherlands, Sweden, Canada and more recently Italy. Steef-Jan has a lot of BizTalk experience so it should come as no surprise that he has written a very practical book based upon a lot of real-world experience. This experience is demonstrated constantly through-out the book and was very refreshing. So based upon these areas of discussion it is impossible to go into a tremendous amount of depth on each topic. However, Steef-Jan will provide a practical example and then leave the reader with links to valuable resources where you can dive deeper if you wish. One of my favorite topics in the book included the Instrumentation, Error Handling and Deployment chapter. I feel that this chapter introduces some of the “tricks of the trade” that can really provide some benefit to a BizTalk developer. In this chapter you will discover some tools like the BizTalk Benchmark Wizard and NLog. These are both valuable tools that we have included in our BizTalk deployment at my organization. Another area of the book that I enjoyed was the Monitoring and Maintenance chapter. More and more we are starting to hear about Monitoring and Maintenance. 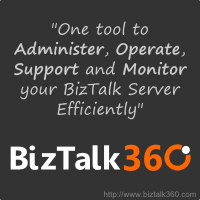 Steef-Jan discusses tools that can really provide visibility into your BizTalk environment including SCOM, BizTalk 360 and MessageBox Viewer. All in all the book was excellent. I can’t say there was a topic that I didn’t feel was appropriate. I think there are probably some areas that could definitely benefit by having more details included. But, the book is a Recipe book and I think it delivers on what is promised in the book’s overview. Congrats Steef-Jan on putting together a great book! You can find the book on both the Packt and Amazon websites. On day 2, the Summit contained breakout sessions that allowed us to dig into some of the topics that were introduced on the first day. More specifically we were able to dive into topics such as Windows 8 and the Consumerization of IT, Dynamics AX 2012 and CRM “R8”. With worker demographics changing, employees are now placing new demands on organizations to use more modern technology or let them use their own. For many recent College graduates, they don’t remember a time when there wasn’t an internet. For many employees, they have more computing power and modern equipment at home than they have in the office. These situations are creating headaches for Infrastructure managers, IT Directors and CIOs. Windows 8 provides some tools that address some of the needs of this emerging demographic. Picture Password - No longer are you forced to remember some password with ridiculous password requirements. Touch first experience – introducing touch into Microsoft’s latest Operating System is not an afterthought. This Operating System was built with touch in mind. “Always” Connected applications through live tiles. No longer do end users have to open applications to determine whether they have received a new purchase order or be glued to their inbox for new alerts. This information can be presented in form of a Live Tile much like you have on your Windows Phone 7. When in “Windows 7 mode” applications behave the same way as in Windows 7. Not all applications will be “Metro” ready at launch or any time soon after that. If you have an application that will run on Windows 7, it will run on Windows 8. You can dock “’Windows 8” applications beside “Windows 7” applications. You know that feature in Windows 7 that allows you to dock applications side by side? You can still do this in Windows 8 and can even doc a Windows 7 application with a Windows 8 application. Workers who require more durable footprints will have the ability to use ruggedized laptops. They showed a demonstration where they had a Windows 7 computer and they inserted a USB key that contained a Windows 8 corporate image. They rebooted the computer and they were able to boot Windows 8 off of the USB drive. They then showed a demo where they were playing a video from the Windows 8 computer. They pulled the USB drive out from the physical computer. The video freezed. The presenter then plugged the USB drive back in and the video resumed. If you plug the USB key in within 60 seconds life is good. If you take longer than 60 seconds then the machine will be shut down. This feature provides a lot of potential for people who want to bring their own device to work or where you have contractors who bring their own laptop but you want them to run your corporate Windows 8 image. Windows 7 introduced the ability to encrypt a USB key. The problem was that you had to encrypt the entire volume of the drive. If you had a larger USB key, like 32 GB or 64 GB, this operation took a long time. New in Windows 8 is the ability to just encrypt the data instead of the entire volume. This is a great balance between performance and security. New boot loader features will detect when OS files have been tampered with upon boot up. If the boot loader detects malware, it will make a connection to obtain Anti malware drivers, load them and remove the malware. VDI is a technology that allows organizations to operate a farm of virtualized windows clients. Much like organizations can run virtualized server farms, they can also run virtual desktop farms. Windows 8 offers a superior experience over Windows 7 VDI experience. Scrolling over VDI is very fluid even when using Touch. This is rather remarkable considering that the Server hosting the Windows 8 image has no hardware support for touch. Consumerization of IT an Opportunity or Risk? Prior to this event, I have not had a lot of exposure to Dynamics AX. What became extremely evident is that Microsoft is very aggressive and committed to the ERP segment. They are also not only interested in establishing a platform but are also interested in providing industry specific solutions. End users need a UI based upon their role (Role Tailoring). The CFO needs different info than the shipping clerk and the information better be populated on the front screen. Use external data and make it apart of how you use internal data for forecasting. For instance the weather having an impact on inventory positions. We can use this data to compare patterns. This will allow for additional insights from both internal and external data that has been collected. CRM – What’s coming down the pipeline? IPAD version has synchronization capabilities you can go online-offline. News aggregation about your customers gets sucked in from external sources. So this concludes the 2012 Canadian Leadership Summit. Overall, there was some good sessions. I really enjoyed seeing what is coming down the pipeline in areas of Windows 8, Dynamics AX and CRM. Every year Microsoft invites some key customers down to Redmond to see the latest and greatest technology. The Summit is geared towards IT Leadership so unfortunately this time around I will not get to hear Clemens Vasters speak about Service Bus during this trip to Redmond. 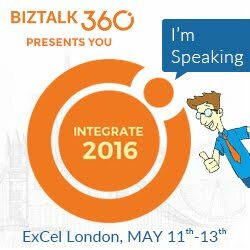 In this session we got the “state of the nation” when it comes to Microsoft’s Dynamics unit. More specifically it related to Microsoft Dynamics 2012 and Dynamics CRM 2011. A very common theme was around Workloads. Workloads meaning processes and where those processes take place. In some cases those Workloads may take place on-premise where as others may take place in the Cloud. Also some Workloads may be supported natively by Dynamics AX 2012 and some may be supported by an ISV product. Adding more core, industry specific capabilities is a good idea in my opinion. Having spent a fair amount of time with SAP solutions, it is quite evident that SAP puts an emphasis on industry specific solutions like the Utilities module: ISU. I always felt that Microsoft relied too much on 3rd party applications to fulfill these verticals. I am happy to see them put more emphasis on industry. The next portion of the session focused on CRM 2011. They showed an amazing demo where they built a Metro user interface on top of CRM 2011. The idea behind this was that this company (a beer company) has a mobile workforce that includes “Beer Rangers” (how cool of a job title is that). These Beer Rangers are much like account managers. They need to access CRM to manage their client engagements. Previously, this Brewery had issues with CRM adoption. They found that the Beer Rangers were not using CRM as much as they should have. The user interface was extremely fluid. You would not even know that this was a CRM system unless someone told you it was. Since the target audience was a mobile workforce, this demonstration was done on a Windows 8 tablet. I am responsible for managing our CRM implementation at my organization. My initial thoughts were that “I want that solution”. It was amazing. Steve delivered a very practical presentation on Windows Azure. I have been to many Azure sessions that talked about how everyone needs to be in the cloud and made it seem like you were on the outside if you weren’t. From the beginning, Steve mentioned that we would not see one Windows Azure logo in his presentation and he was right. He gave a very forthcoming, honest talk on when and why you should use cloud. He also provided a lot of candid information in areas when you should not use the cloud as it just does not make sense. When should I embrace the cloud? Proof of Concepts – You can perform many tasks over the course of an afternoon for less than a cup of coffee. You have sustained (long term) utilization. The cost of compute is still too high for financial benefits. People will move to the cloud to take advantage of Architecture building blocks that either do not exist on –premise or is outside that organization’s core competency. From a personal perspective, this has always resonated with me. The pure elasticity of Azure is just not something that can be easily emulated within your own datacenter. Also, when I look at some of the opportunities that technologies like the Service Bus provide, it just makes sense to move some of these workloads into the cloud. You know the term “it takes money to make money”? For many years companies that could afford to spend a lot of money on R&D and infrastructure had more opportunities to create the next big thing. With Azure, and cloud computing in general, the playing field has now been leveled. Your competitors now have access to the same toolset that you have access to. These toolsets will now allow businesses to scale at levels that previously just weren’t possible. In fact, Professor Richard Foster of Yale University is predicting by by 2020 more than 3/4 of the S&P 500 will be companies that we have not heard of yet. Considering where Facebook came from less than 10 years ago to approaching a 100 Billion dollar IPO, I agree with Professor Foster. So that is some of the highlights from Day 1. I will also publish my thoughts from Day 2 on Thursday.